Awning windows are hinged at the top and open outward, creating an awning-like effect that gives this window style its name. This unique design allows you to catch the cool, refreshing breezes that come with a rainstorm without having to worry about a bunch of water getting inside your home. 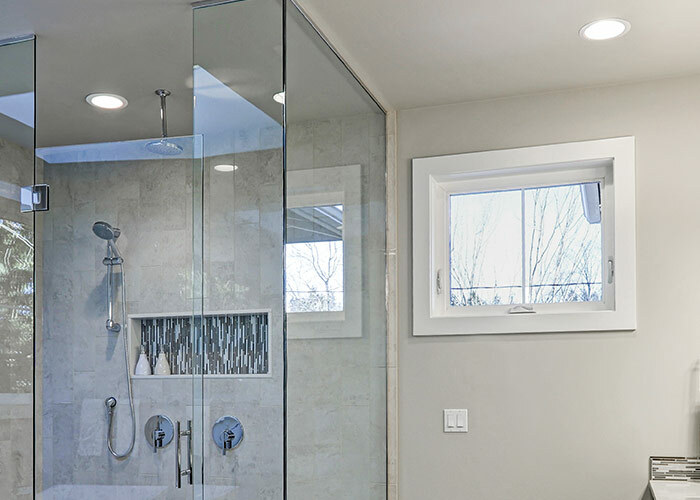 Like other windows that open and close with a crank assembly, awning windows are incredibly easy to operate, making them an ideal option for hard-to-reach places like a stairwell or above the kitchen sink. At West Shore Home, we’ve made it our mission to deliver dependable home improvement services more aggressively and efficiently than anyone else in the industry. When you partner with us for new awning windows, you can trust that they’ll be installed by our highly trained company employees – never subcontractors – and that the job will be completed in just one day. No money down. Risk-free assurance. And lifetime warranties on both products and services. For new awning windows in the blink of an eye, contact West Shore Home today.